This is the earliest known telling of the great flood and pre-dates any Christian reference to the flood (Noah) by thousands of years. 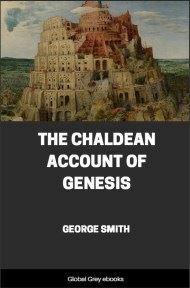 Chapters include: The Discovery Of The Tablets At Nineveh By Layard, Rassam And Smith; The Walls And Palaces Of Nineveh; First Discovery Of The Royal Library At Nineveh; Nebo And His Library At Nineveh; Discovery Of The Palace Library Of Ashur-Bani-Pal; Ashur-Bani-Pal, Book-Collector And Patron Of Learning; George Smith's Discovery Of The Epic Of Gilgamish And The Story Of The Deluge; The Legend Of The Deluge In Babylonia; The Legend Of The Deluge According To Berosus; The Babylonian Legend Of The Deluge As Told To The Hero Gilgamish By His Ancestor Uta-Napishtim, Who Had Been Made Immortal By The Gods; and, The Epic Of Gilgamish. In the spring of 1851 Layard was obliged to close his excavations for want of funds, and he returned to England with Rassam, leaving all the northern half of the great mound of Kuyûnjik unexcavated. He resigned his position as Director of Excavations to the Trustees of the British Museum, and Colonel (later Sir) H. C. Rawlinson, Consul-General at Baghdâd, undertook to direct any further excavations that it might be possible to carry out later on. During the summer the Trustees received a further grant from Parliament for excavations in Assyria, and they dispatched Rassam to finish the exploration of Kuyûnjik, knowing that the lease of the mound of Kuyûnjik for excavation purposes which he had obtained from its owner had several years to run. When Rassam arrived at Môsul in 1852, and was collecting his men for work, he discovered that Rawlinson, who knew nothing about the lease of the mound which Rassam held, had given the French Consul, M. Place, permission to excavate the northern half of the mound, i.e., that part of it which he was most anxious to excavate for the British Museum. He protested, but in vain, and, finding that M. Place intended to hold Rawlinson to his word, devoted himself to clearing out part of the South West Palace which Layard had attacked in 1850. Meanwhile M. Place was busily occupied with the French excavations at Khorsabad, a mound which contained the ruins of the great palace of Sargon II, and had no time to open up excavations at Kuyûnjik. In this way a year passed, and as M. Place made no sign that he was going to excavate at Kuyûnjik, and Rassam's time for returning to England was drawing near, the owner of the mound, who was anxious to get the excavations finished so that he might again graze his flocks on the mound, urged Rassam to get to work in spite of Rawlinson's agreement with M. Place. He and Rassam made arrangements to excavate the northern part of the mound clandestinely and by night, and on 20th December, 1853, the work began. 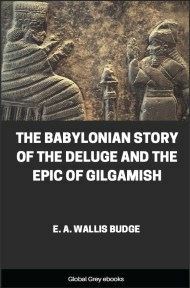 On the first night nothing of importance was found; on the second night the men uncovered a portion of a large bas-relief; and on the third night a huge mass of earth collapsed revealing a very fine bas-relief, sculptured with a scene representing Ashur-bani-pal standing in his chariot. The news of the discovery was quickly carried to all parts of the neighbourhood, and as it was impossible to keep the diggings secret any longer, the work was continued openly and by day. The last-mentioned bas-relief was one of the series that lined the chamber, which was 50 feet long and 15 feet wide, and illustrated a royal lion hunt. 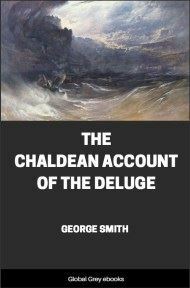 This series, that is to say, all of it that the fire which destroyed the palace had spared, is now in the British Museum (see the Gallery of the Assyrian Saloon). Whilst the workmen were clearing out the Chamber of the Lion Hunt they came across several heaps of inscribed baked clay tablets of "all shapes and sizes," which resembled in general appearance the tablets that Layard had found in the South West Palace the year before. There were no remains with them, or near them, that suggested they had been arranged systematically and stored in the Chamber of the Lion Hunt, and it seems as if they had been brought there from another place and thrown down hastily, for nearly all of them were broken into small pieces. As some of them bore traces of having been exposed to great heat they must have been in that chamber during the burning of the palace. 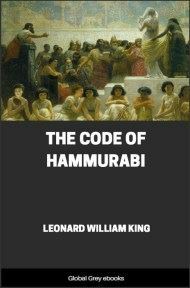 When the tablets were brought to England and were examined by Rawlinson, it was found from the information supplied by the colophons that they formed a part of the great PRIVATE LIBRARY OF ASHUR-BANI-PAL, which that king kept in his palace. 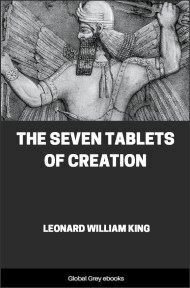 The tablets found by Layard in 1850 and by Rassam in 1853 form the unique and magnificent collection of cuneiform tablets in the British Museum, which is now commonly known as the "Kuyûnjik Collection." The approximate number of the inscribed baked clay tablets and fragments that have come from Kuyûnjik and are now in the British Museum is 25,073. It is impossible to over-estimate their importance and value from religious, historical and literary points of view; besides this, they have supplied the material for the decipherment of cuneiform inscriptions in the Assyrian, Babylonian and Sumerian languages, and form the foundation of the science of Assyriology which has been built up with such conspicuous success during the last 70 years.